Question: Is Well Water Better Than City (Tap) Water? We’re building a new house right on the edge of where the local water plant stops delivering water and want to know if we will be better off hooking up to the water line or having well put in. Some people say we’re lucky to have a choice, but really it’s just one more decision we have to make and we already have so many! Can you help? Thanks! As Emma implied, sometimes having a choice makes for a lot more work – if you choose to research the options properly. Hooking up to city water offers the security of knowing that the city has to test its water routinely before distribution and must inform you if it has experienced any ‘incidents’ which may put you in danger. On the flip-side, though, you will receive a bill each month to cover the expense of testing, monitoring, filtering and purifying the water going into your new home. Investing in a well for your new home will rid you of that pesky water bill each month, but it will also make you 100% responsible for the quality and safety of water it produces once it passes an initial test done by the well drilling company. We honestly do not have an answer, Emma, because some well water comes up cleaner and more pure than any water company could ever distribute… and other well water comes up nastier than backwoods swamp water and/or containing potentially dangerous chemical compounds whose origin even the best scientists in the World have trouble locating. Pretty much all city water contains some form of disinfectant which can create unpleasant tastes and odors in drinking water. It can also irritate skin, bleach clothing, etc. and some water systems contain obnoxious (and smelly) levels of chlorine which can make water taste absolutely wretched. While on the topic of chlorine, the most widely used disinfectant for public water systems, produces trihalomethanes (THM’s), a potentially carcinogenic disinfection byproduct, when chlorine molecules attack organic contaminants in water. Getting back to the well water, commonly occurring events in the environment can change the quality of well water on a daily basis. Heavy rains, a lack of rain, temperature and even air pressure can radically alter the nature of water pulled from well – and let us not forget about pollution from industry which can seep into the ground 100’s of miles away from a well and still, somehow, make its way into that water that well produces at some point. 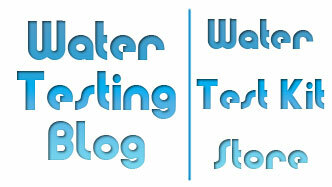 So, Emma, in the end, and if you want to make the best possible decision regarding where you will get your drinking water, we suggest you have a sample of water drawn from the aquifer your proposed well will access and have it tested by a certified water testing laboratory such as National Testing Laboratories. Contact the well drilling company you think you may use to drill, if you go that route, and ask them for advice on getting sampling and testing done. 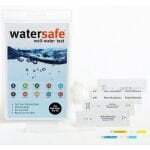 Do make sure they submit the sample to a certified water lab, though, and not do the testing themselves! Then contact the local water company and ask for a copy of their latest water quality report, usually referred to as a Consumer Confidence Report and abbreviated as CCR. 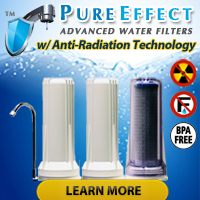 With both reports in hand, weigh the pros and cons of each and remember that no matter which option you choose, you may STILL want to consider having a Whole House Water Filter System installed and/or purchasing point-of-use water filter devices for the shower, faucet and countertop.